Practice yoga in a superb location, surf in Fuerteventura’s perfect waves and relax in the amazing surfschool sunset lounge right on the beach. Surf and yoga are related to each other. Both of them brings you closer to the nature, to true Yourself. Daily yoga class helps you (besides the other benefits) learn surfing, where you need focus, strength, balance and flexibility. 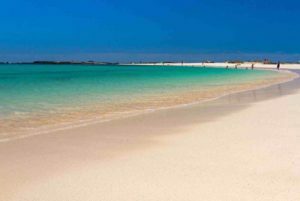 The relaxing atmosphere and very generous people in Corralejo calms you down and you will mentally, emotionally and spiritually all refreshed. You will start or end upyour day with Iyngar yoga class with Apolena. Of course outside beside the pool or in the sunset lounge at the surf school. It is just amazing to practise yoga outdoors, to breath the salty air by the ocean and listen to the murmur of the ocean. It brings you closer to the nature, our real home, where ll of us comes from. The yoga classes are suitable for all levels. We also can practise yoga in the evening after the surf class for the recovery. You will start your yogic journey, that comes from the periphery, the body, to the center of our being, the soul. Yoga is also the perfect complement to surfing. The surf and yoga package offers an excellent detailed introduction to all aspects of yoga for beginners and the chance to dive deep into more advanced practice. The mental benefits of yoga for surfers include an increased sense of focus and awareness to the human form and body. We ask you to bring your own mat, 2 blocks and the strip. Of you do not have the props, bring with you at least the mat and we share the props. The group will be small, max 10 people. Surf Course Feurteventura offers surfing instruction to all levels and ages form beginners to advanced surfing. Imagine someone catching waves in crystal clear turquoise waters on endless white sandy beaches. This someone could be you! In our surf course Fuerteventura there is no bad season – just fun and active leisure time at any season of the year! 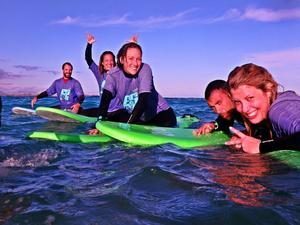 During the surf course fuerteventura you will acquire the basics of surfing theory; a lot of practical activities will be arranged for you. The schedule of the day is flexible, combining the surf course at the beach and time to discover the island. When the conditions at the beach (tide), in the water (swell) and the school schedule allow, surf school takes the surfers to different spots so that they can practice their new skills in different conditions. One class usually takes 4-5 hours. 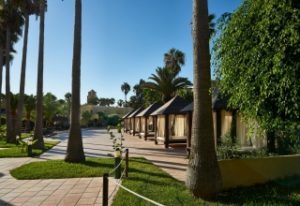 Surrounded by gardens, outdoor swimming pools and complete facilities, the Atlantic Garden Beach Mate Resort offers everything you need to enjoy your holiday in Fuerteventura, whether it is with your partner, family or friends. 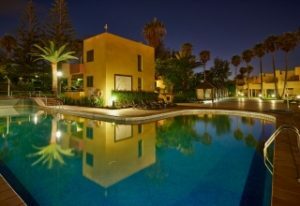 Atlantic beach garden is located just a 10-minute walk from the centre of Corralejo and the town beach and less than a 5-minute drive from the beaches of Las Dunas. Next to the resort there is also a shopping centre with many shops and leisure options. You will stay at one bedroom apartment with two single beds and a bathroom. It features a fully equipped kitchen with microwave, toaster and kettle. The living room has a sofa bed and a TV with satellite channels. The resort has two outdoor swimming pools for adults and one for children, surrounded by a garden and a terrace with Balinese-style sun beds. There is also a pool bar where our guests can enjoy a drink or snacks. Enjoy your free time in our sports facilities: tennis court, pool tables, darts, a children’s play area… Also, the resort offers a fully equipped gym. You can take a stroll on the seaside promenade and discover many beachfront cafes where you can absorb the clean swathes of golden sand with the wide stretch of the Atlantic sweeping around the bay. Corralejo also offers a fan for night owls, providing an eclectic range of evening entertainment that offers everything from pubs, cafes, restaurants, glitzy cocktail lounges, to cozy craft beer bars and to late night clubbing. Flight to the airport Furerteventura (FUE). From there a cab 40EU-45EU or public transport (7 EU) to Corralejo. For further information contact us.